The battle to legalize online gambling in the state of New Jersey has finally concluded. A few weeks ago it was announced that Governor Chris Christie had conditionally vetoed the online gambling bill, but only minor changes had to be made to the bill. This month the state legislature approved the necessary changes to the bill. It was expected that the bill would be signed into law until March 18th 2013, as that’s when the senate was expected to be able to vote to approve the conditional veto. The leading sponsor of the bill, Senator Ray Lesniak, was able to schedule an emergency resolution. The conditional veto was approved by the vote of 68-5-1 (Assembly) and 35-1 (Senate). 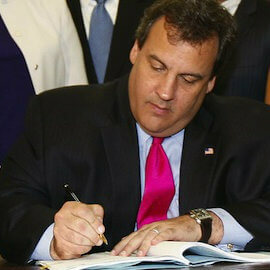 All that was needed now was Governor Chris Christie’s signature. Today the Governor signed the bill into law and it’s expected that New Jersey will try to fast track launching. Ray Lesniak has stressed that getting the bill signed into law as quick as possible was imperative to stay competitive with Nevada/Delaware. Lesniak estimates that online gambling sites will be launched as soon as this fall. The next six months will be spent finalizing the new regulations and approving applicants. Only land-based casinos in Atlantic City are allowed to apply for an online license. This is why PokerStars parent company (Rational Group) is working hard to receive regulatory approval from NJ to purchase the Atlantic Club Hotel Casino. 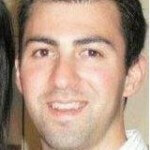 If they receive approval they would be able to apply for an online gambling license in New Jersey. When online poker rooms start to launch in Atlantic City they’ll only be available to people within the state. The bill does allow for interstate partnerships in the futures with other US states and other countries that have regulated online poker. A few of the minor changes that needed to be approved include increased taxes, increased funded programs and a clause that authorizes the new bill for a 10-year period, which means if online gambling doesn’t work it would be unauthorized in 10-years. There was a small increase in the amount of money that needs to be put towards problem gambling. Licensed gambling sites will need to spend $250,000 towards problem gambling programs and the tax on gross earnings is now 15% instead of 10%. The increased tax hike to 15% won’t make online gambling unprofitable for providers, but there is a concern that it will prove to be difficult with Nevada’s online gambling framework that only calls for 6.75% in taxes to be paid with various loopholes. If New Jersey ever wants to be the leader in regulated online gambling in the USA they’ll need to adjust the bill, but at the same time it’s great to see online gambling finally legal in the state after an extended battle that started in 2010.